30x30mg Full-Spectrum CBD Capsules infused with CBDA, CBC, CBG and CBN! Nature’s strongest remedy. Experience the benefits of Cannabidiol, commonly known as CBD, which has taken the world by storm, and has become part of a brand new rapidly growing industry of health oil products derived from the Cannabis plant. To ensure purity TSIGFY sources CBD from local Colorado Family farms that specialize in Medicinal hemp with concentrates of Full Spectrum CBD, wheras most industrial hemp CBD often contains lead, pesticides, and uncessasary additives. 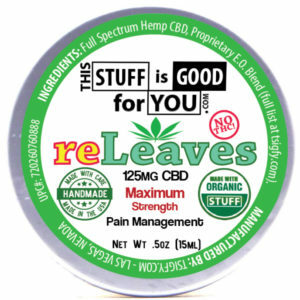 For a premium experience you can trust, choose TSIGFY’s reLeaf CBD!